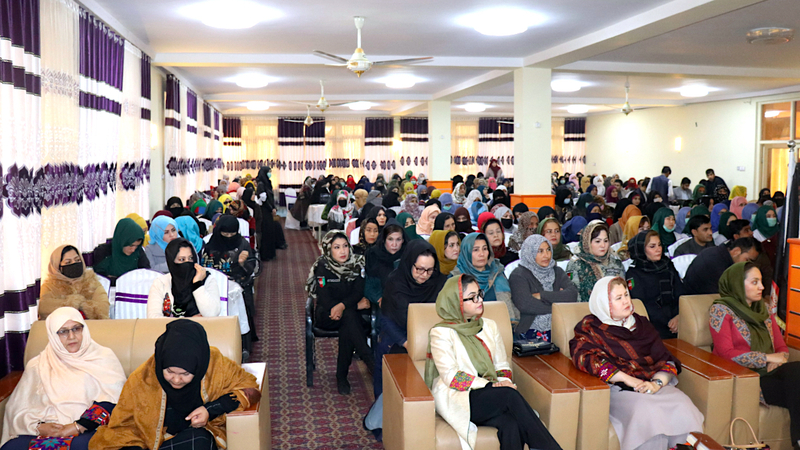 PUL-I-KHUMRI -- More than 400 women from various areas of Baghlan Province convened at a peace gathering September 26 and jointly called on the Taliban to lay down their arms and join the peace process. "Women are tired of war, and they too would like to participate in face-to-face talks with the Taliban from now on," Khadija Yaqin, chief of the Women's Affairs Department in Baghlan, said at the gathering in Pul-i-Khumri, Baghlan's capital. 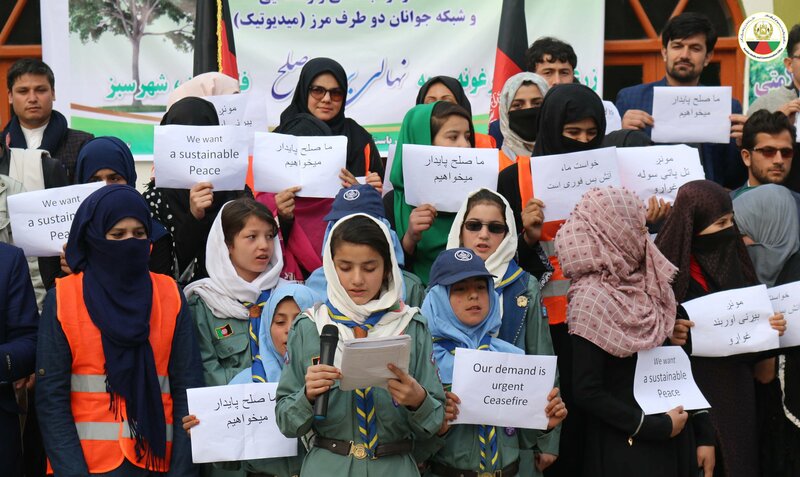 "Although today I am someone's honour [a reference to her marriage], I am also the honour of this homeland," she said at the gathering titled, "The national consensus of Afghanistan's women for peace." Directing her comments to the Taliban, Yaqin said, "If you are sons of mothers who belong to this land, then you too are sons of this homeland. You should, therefore, come and join the peace process." "Do not dishonour yourselves by working as servants [for the interests of] foreign countries, and do not let orphans who have been deprived of their fathers wander around in misery and agony," she said. The government must invest in women and seek their help and advice, she continued. "The goal of women's participation in this gathering is to show that women are messengers of peace." "The government might be strong, but the war is stronger ... and it kills many of our young individuals," Malalai Shinwari, a member of the Afghan High Peace Council, said at the gathering. Shinwari said that as an Afghan woman she wants the Taliban to join the peace process and to stop the violence and bloodshed. "We do not want our next generations to experience what we went through," she said. "If [the Taliban] have the power to fight in wars, women too have the power to make peace in Afghanistan." Women, tribal elders and religious scholars have a valuable role in consolidating peace and stability in the country, said Humaira Muradi, 30, a women's-rights activist in Baghlan. At the gathering, she referred to the need for "sisters, brothers, scholars and elders" in the peace process. Like men, women are in desperate need of peace, as they too suffer greatly from violence, Muradi said. "Through their families and relatives, women can talk and communicate directly in villages, neighbourhoods and districts in order to make the Taliban aware of the significance of peace," she explained. "Peace is one of God's greatest blessings, with which we can have a calm, tranquil and comfortable life," she added. The Afghan people badly need peace so that they can escape the war and its related problems and achieve prosperity, which is every Afghan's aspiration and dream, said Sabrina Hemmat, 32, a resident of Guzargahi Nur District, Baghlan. "The government must strive to use women in creating conditions for peace in the community and to bring the armed opposition [groups] to the peace process," she said at the gathering. Although the Afghan government has repeatedly called for peace negotiations with the Taliban, the Taliban have consistently turned down these requests and have refused to engage in direct talks. 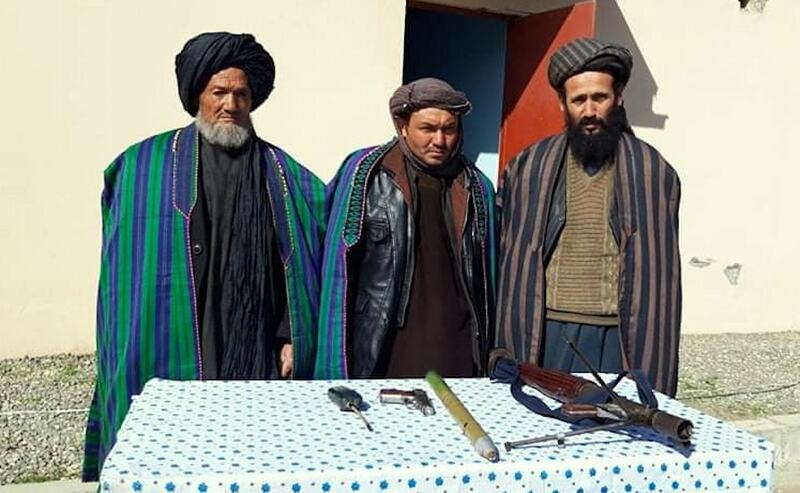 "Every time the government extends its hand in peace to the Taliban, the Taliban assume that the government is weak and hence is begging [for peace]," Baghlan's provincial governor Abdul Hai Naimati said at the peace gathering. "On the contrary, the government is not weak or incompetent. We are strong, we have artillery and tanks, and our government is a legitimate one," he said. Regardless of how long the Taliban's armed struggle continues, it will end in peace, he said, adding that no alternative to peace exists when it comes to solving the problem of Afghanistan. "Once again, we declare that offering peace talks is neither a sign of our weakness nor an indication of the inability or weakness of the leadership of the [Afghan] security and defence forces," said Gen. Ekramuddin Sari, Baghlan provincial police chief. "Rather, peace is a necessity, and we must reach it at all costs." Taliban militants should know that they have no choice but to make peace, he said, adding that if the Taliban do not join the peace process, government forces eventually will destroy them.